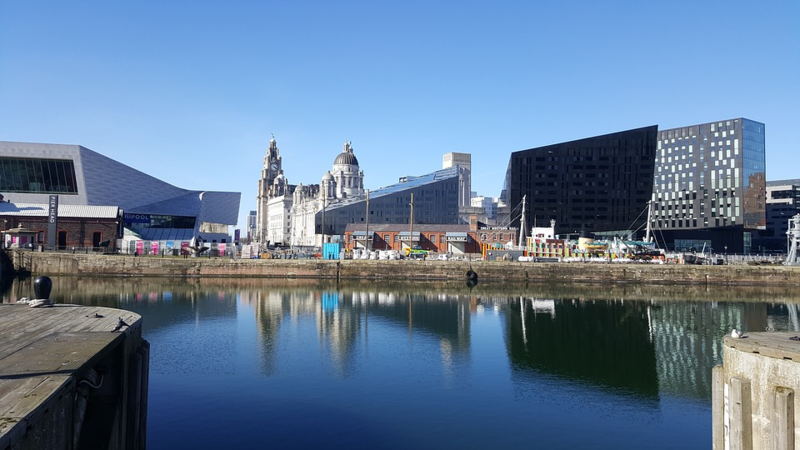 2: The world’s first commercial wet dock was built in Liverpool. The Thomas Steers’ dock, also known as the Old Dock was opened in August of 1715. You can view some of the dock in Liverpool One and tours of the dock are available. 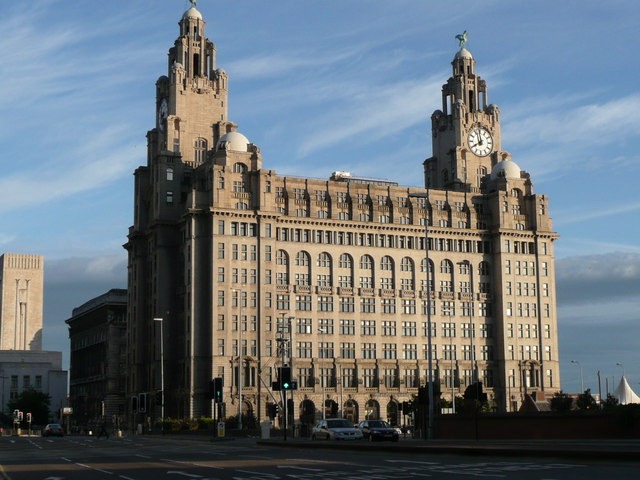 3: Liverpool was the site of the first American overseas consulate in 1790. James Maury was appointed as consul and served in the position for 39 years, under 6 presidents before being removed from office in 1829 by President Jackson. He lived at 4 Rodney Street and you can see his portrait in Liverpool Town Hall’s West Reception Room. 4: The world’s first cast iron church was built in Liverpool in 1814. 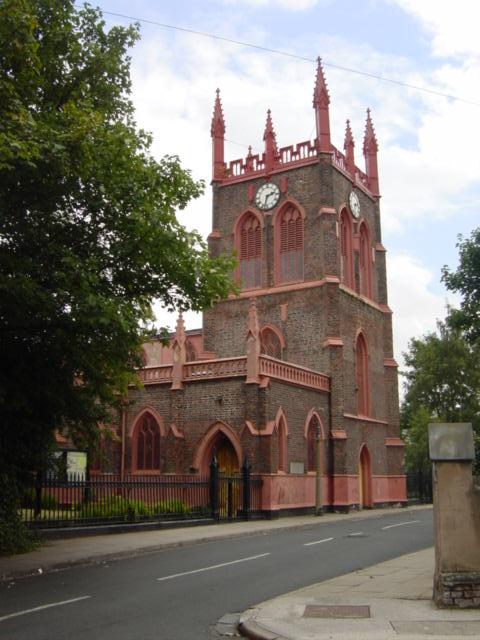 St George’s Church in Everton was designed by architect Thomas Rickman and built by John Cragg, they would go on to build two more cast iron churches in Aigburth and Hardman Street, though the church on Hardman Street was demolished in 1882. 5: Cammell Laird shipbuilding company was founded in 1828 in Birkenhead. 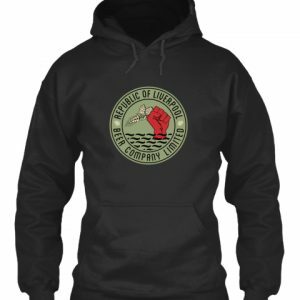 Though no the first shipyard in the county the ships that Lairds constructed would go on to have a tremendous impact on world events. 6: The world’s first locomotive railway was built between Liverpool and Manchester and was opened on September 15th 1830. The line held several other firsts; the first to use exclusively steam power (no horse drawn traffic was allowed); the first to be entirely double signalled; the first to have a signalling system; the first to be fully timetabled; and the first to carry mail. 7: William Huskisson, the MP for Liverpool, was the first person in the world to be killed by a train at the opening ceremony for the Liverpool-Manchester railway line in 1830. He had been riding in a carriage on the Northumbrian, when the train stopped for water Huckisson got out to talk to the Duke of Wellington who was in another carriage. As Huckisson attempted to get into the Duke’s carriage the door swung open and carried him into the path of the Rocket on the other track. 7: The first train shed was built in 1830 at Liverpool’s Crown Street Station and served as the terminus of the Liverpool – Manchester Railway. 8: Cammell Larids constructed the first British ocean-going iron warship, Nemesis in 1839. She was deployed to China during the First Opium War and was extremely successful due to her shallow draught which allowed her to travel into rivers to pursue targets. 9: William Henry Duncan became Liverpool’s first Medical Officer of Health in 1847. Doctor Duncan’s pub in Liverpool is named after him. 10: England’s oldest chess club was founded in 1857 in Liverpool. 11: In 1862 Cammell Lairds would build the CSS Alabama, a screw sloop-of-war for the Confederate States of America. She was the first commerce raider built by Britain for the Confederates. The ship would go on to conduct 7 expeditionary raids around the world, she was at seas for 534 days out of 657 and in that time boarded 450 vessels, captured 65 Union merchant ships and took more than 2000 prisoners without suffering any casualties. 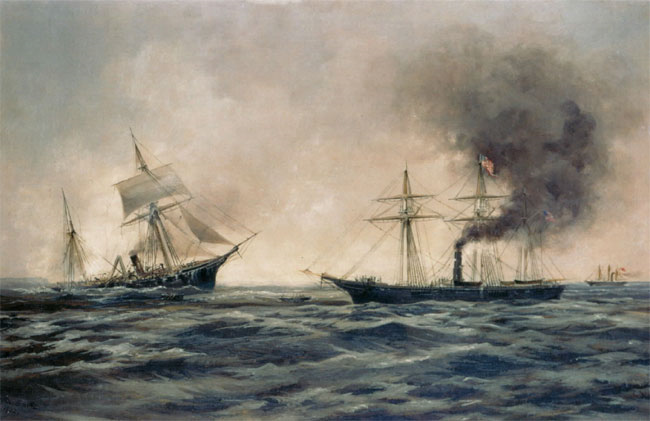 The Alabama was ultimately sunk in 1864 by the USS Kearsarge in France. There used to be a picture of Commander James Bulloch, the Confederate officer who was instrumental in the ship’s construction, and a Confederate flag on the wall of the Liver pub in South Road. 12: The Liverpool Overhead Railway, the Dockers’ Umbrella, was the first elevated electric railway in the world. It was opened on March 6th 1893 and closed on December 30th 1956 before being demolished in 1958. 13: The Liverpool School of Tropical Medicine was established in 1898 and was the first institution in the world to research tropical diseases and medicine. 14: The Stanley Dock Tobacco Warehouse is the largest brick warehouse in the world. Built in 1901 the building has 14 stories, spans 36 acres. It took 27 million bricks, 30,000 glass panels and 8,000 tons of steel to build. Harcourt Development is planning to convert the warehouse into 476 apartments. 15: The Royal Liver Buildings were completed in 1907 and at 322ft tall was one of the first skyscrapers in Europe, at the time it was considered impossible to build. The clock faces of the buildings are 25ft in diameter and still hold the record of being the largest electronically driven clock face in the UK. The liver birds on top of the buildings are named Bella and Bertie, with one looking over the city to protect its people and the other looking out to sea to protect sailors. Alternative local legends say the birds are male and female, with the female looking out at the approaching handsome sailors and the male looking to the city to see if the pubs are open yet. 16: The first Woolworths store opened in 1909 on Church Street in Liverpool. Woolworths would continue as a company for 100 years before closing stores in 2009 and becoming defunct. 17: The first published crossword puzzle in the world was published in 1913 in the New York World by Liverpool born journalist Arthur Wynne. 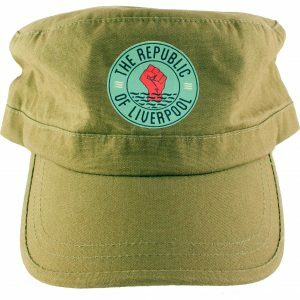 18: In 1919 Liverpool City Police became the first and only police force to go on strike in the UK for more than a day. The strike was a result of the 1918 strikes, that were settled the same day. 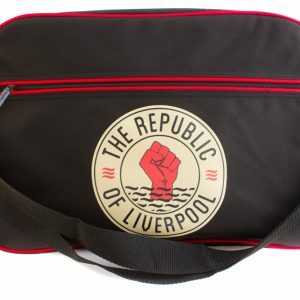 Nearly half of the Liverpool police force went on strike, the Bootle police union reported that 69 of 70 officers had gone on strike. 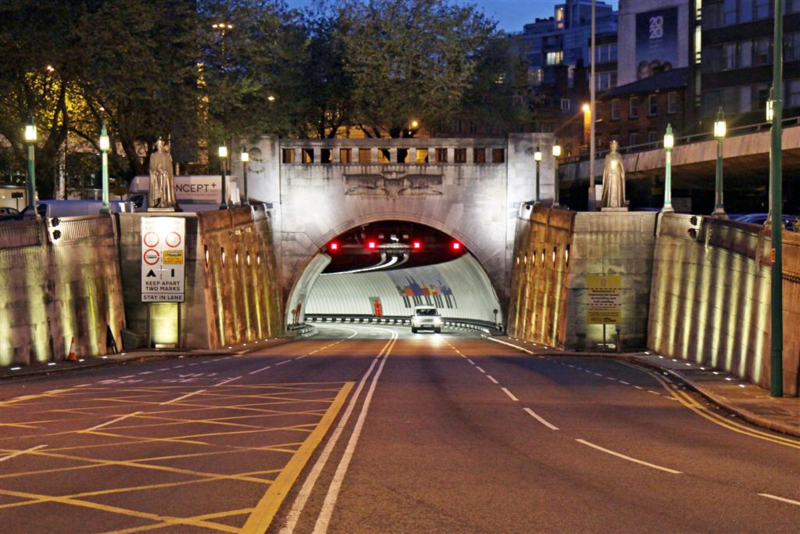 19: The Queensway Tunnel opened in 1937 at 3.24 km it was the longest road tunnel in the world, until 1948 but was still the longest underwater road tunnel till 1955. 20: In 1937 Cammell Laird built the aircraft carrier HMS Ark Royal the vessel would be the most expensive ship ever ordered by the Royal Navy at the time. She would go onto serve in World War 2 being deployed in a “hunter-killer” flotilla to go after German U-boats, then being redeployed in Africa to Force K which hunted the Graf Spee a German commerce raider. 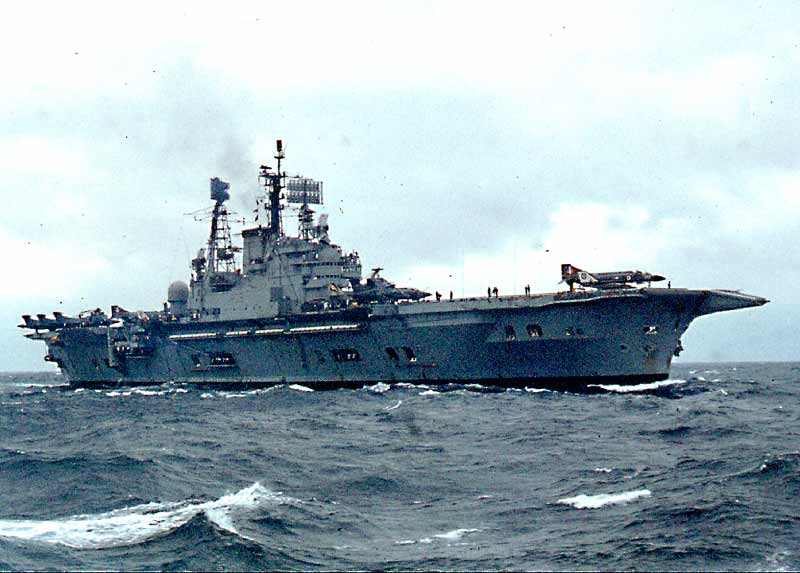 Afterwards the Ark Royal was deployed in Norway as part of Opertain DX. 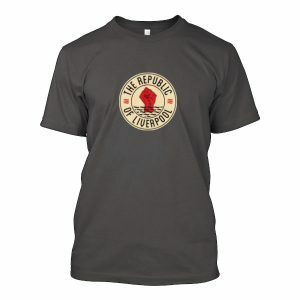 She went on to defend convoys in Malta, take part in Operatin Tiger and launch the Swordfish bomber which would cripple the Bismarck and lead to her eventual sinking. The Ark Royal was ultimately sunk by a U-boat (U-81) in 1941 in Gibraltar, all but one of her 1488 crew were saved. 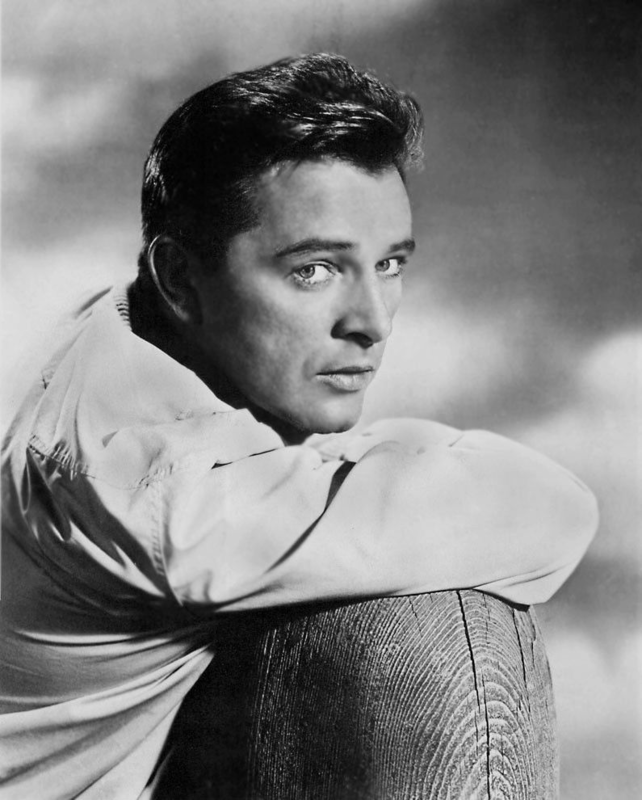 21: In 1943 actor Richard Burton made his theatrical debut in the Royal Court in Liverpool in the play The Druid’s Rest. 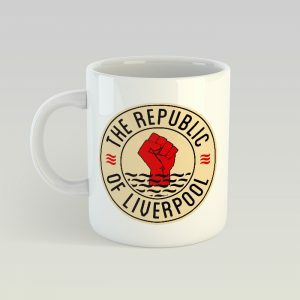 22: In 1946 Liverpool FCs Jack Balmer became the first player in the league to score 3 hat-tricks (a hat-trick of hat-tricks) against Portsmouth, then Derby and finally Arsenal. This record still stands today, Fernando Torres came close with 2 successive hat-tricks in 2008. 23: In 1950 Cammell Laird built a Royal Navy aircraft carrier 1119 originally going to be called the Irresistible she was renamed Ark Royal and commissioned in 1955. She was the first carrier constructed with an angled flight deck and was the largest ship ever commissioned by the Royal Navy. She would go onto serve 24 years in many NATO and British fleets but never see active combat. She was ultimately decommissioned in 1979 and then scrapped in 1980. 24: The world’s first helicopter passenger flew from Liverpool to Cardiff, taking 1 hour and 40 minutes and costing £5.10s , equivalent to about £300 in present money. 26: The world’s first hovercraft to carry passengers began its route in August 1962 between Rhyl and Moreton in Merseyside. The Vicker VA3 was scheduled to complete 12 trips per day carrying 24 passengers and taking 20 minutes. However poor weather ultimately lead to the service being discontinued with the craft only actually running for 19 days, out of a planned 2 months. Finally in September the VA3’s lift engines failed in the middle of the journey and although the craft made it to Rhyl, it was unable to fully moor and ended up breaking free and drifting out to sea. 27: In 2015 Cammell Laird won the construction contract for a new Royal Research Ship, the ship was named the RSS Sir David Attenborough but was very nearly named the RSS Boaty Mcboatface after a competition to name it in 2016.